Travelling through Queensland on its 230,000km journey from London to the Gold Coast 2018 Commonwealth Games, the Queen's Baton Relay is bringing together iconic Australians, community leaders and everyday people from all walks of life. Among the batonbearers are some of the QSuper members who encapsulate the community pride the Commonwealth Games inspires. As a batonbearer for the Queen's Baton Relay, Samantha Bliss believes one word will capture how she will feel as she carries the Queen's Baton in her home town of Mackay and that's pride. "Community means a lot to me and I am really proud to be a part of it. I don't volunteer for the acknowledgement, I do it because I like to be involved and I love people," she says. 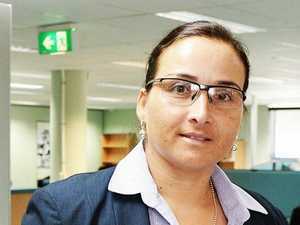 Samantha, 43, gives her time and experience generously as a volunteer on boards for hockey, touch football and rugby league, as well as organisations that support educational opportunities for Aboriginal people, Torres Strait Islanders and South Sea Islanders. She also works full-time as a detective senior sergeant in the Queensland Police Service and was nominated to carry the Queen's Baton by her co-workers. "I felt humbled and privileged to be nominated, not only to be recognised by my work colleagues but to represent the community and be part of such a massive, international event." A few of Samantha's voluntary roles include the chairwoman of Mackay PCYC and Marabisda Incorporated (Mackay Aboriginal Islanders Development Association), and director on the boards of Mackay Cutters Rugby League and the Kutta Mulla Gorinna Alternative Learning Program. The QSuper member is committed to inspiring and motivating young Indigenous people through sport and education to make good choices and be safe. "Australia is a very inclusive country and the Baton carries a strong message of inclusivity, diversity and community. I'm extremely proud to be part of such a meaningful event," she says. "So many of the baton bearers give so much to the community and to be included in such a group and to be part of this event is just amazing. "I will be proud to carry the Baton with family, friends and children seeing me as a positive role model who gives back to the community. It's quite humbling to represent my home town, I love being part of it. "That's the biggest thing; to stand proud and represent Mackay." John Dickinson will proudly carry the Queen's Baton around Airlie Beach Lagoon, happy in the knowledge that some of the athletes who will represent Australia at these Games got their sporting start at a PCYC. John, 59, has been a police officer for 38 years and spent 37 years volunteering at and then managing PCYCs, which he believes are the linchpin of the community. "I started as a volunteer at PCYC when I saw the how much the services they provided benefited my young children," John says. "As a police officer doing shift work and working weekends, taking my children to PCYC was a way for me to spend time with them. "PCYC caters to everyone in the community from babies to seniors but we predominantly target children and teens, providing them with healthy, positive activities and their parents know the children are in a safe, drug-free environment." John volunteered for 20 years at the Gold Coast before becoming a PCYC branch manager and then moving to Airlie Beach to set up a new club in that community. "In August 2002 I was handed the keys by the builder for the brand new Airlie Beach PCYC. I have run the club for the last 15 years, implemented all the programs, raising funds and helping families and young people." John was nominated to be a batonbearer by Whitsunday Regional Council for his contributions to the community. "I feel proud to represent this community as a batonbearer knowing that the PCYC has provided base level entry for some of the athletes who will compete at the Commonwealth Games on the Gold Coast. I personally know Olympic athletes who kicked off their careers through PCYC. "I'm stoked about the nomination to carry the Baton - I've never been nominated for something like this before. You don't do it for the recognition, but I feel honoured that the council thought of me for this event. 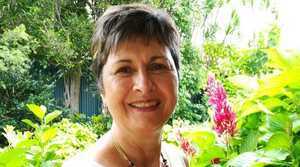 "Airlie Beach is a great community and there will be a big turn out to watch the Baton pass through town. I'm proud to be a part of it." When Robyn Lindsay carries the Queen's Baton along Robert St, Atherton, it will be in the spirit of inclusivity and diversity that she has embraced throughout her career as a teacher. Robyn has dedicated the last 20 years to special education and the last six to helping disadvantaged children in Africa. "Everyone is of value, everyone is worthy and everyone deserves to participate," Robyn says. "I love working with families to empower them in their role as parents in the face of challenges. Being part of something bigger and working with others to bring about success is what makes me feel so proud to be part of this community." In 2011, the 65-year-old visited Kenya with Hope Global to survey special needs requirements. That visit lead to her founding Regained Inc, an organisation that funds eye screening and medical support for Kenyan children with vision problems. "I found I could use my skills in special education to help severely disadvantaged children assisting with eye operations, special schools and assisted education. After eye operations, these children were able to go into normal schooling. "The spirit of the Commonwealth Games and Queen's Baton Relay are about inclusivity and diversity which have both been motivating forces throughout my career. To be nominated to carry the Baton was overwhelming; that someone recognised the work we are trying to do is very, very humbling. It came out of the blue," she says. The event is made more special for Robyn as she will be handed the Queen's Baton by a former student. "It is quite symbolic as he has graduated and has accomplished so much, having faced so many challenges. My former student passing me the Baton demonstrates hope and celebration." For Debra Szendrey, the Queen's Baton Relay will be a family affair. At the end of her run along Queen St, in Ayr, south of Townsville, she will pass it to her husband in front of the community she has volunteered in for 24 years. "I volunteer because I want to give something back to the community. If you want to live in the community and be a part of it you have to give something back," Debra, 58, says. 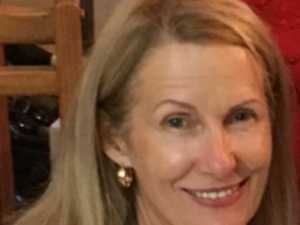 She volunteered with the Surf Life Saving Queensland for 20 years, and with Crime Stoppers for 10 years, and is a current member of the Ayr Chamber of Commerce after serving as president and as an executive member for five years. For the past 15 years Debra has also been a voluntary board member with NQ Employment, helping people with disabilities find employment. "I got into Life Savers because my son joined when he was young, so I started volunteering and competing. It just went from there. I love volunteering with NQ Employment; I enjoy helping people. "I was absolutely thrilled and honoured to be selected for the Baton relay. The logistics of this international relay are amazing. To think of where it has travelled - it's has been across seas and visited so many countries - so to be a part of that is fantastic." Debra also carried the Olympic Torch in 2000, ahead of the Sydney Olympics. "I was surprised at what an emotional journey that was for me." 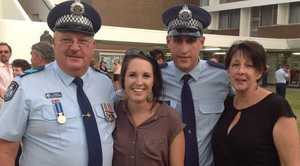 Debra's husband is was a long-serving member of the Queensland Police Service with more than 44 years of service. "I will be handing the Baton to my husband, so that makes it all the more wonderful. "It is such a great honour to be running with the Baton; my clients will be there and friends and family and the community. "It's a huge thing to bring something like this to a country town like Ayr. It's so positive and a chance to bring the community together to celebrate the Commonwealth Games."